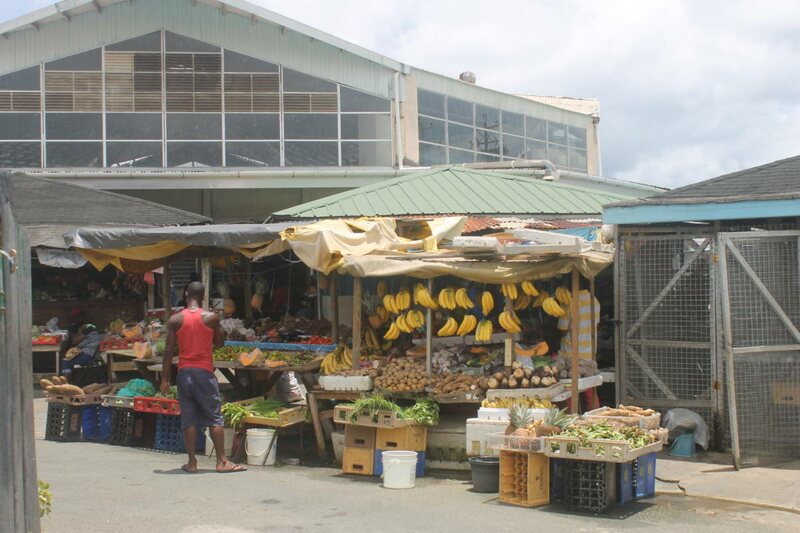 File photo: Market produce on display outside the Scarborough market on Wilson Road. TOBAGO must start producing in order to meet the needs of Tobagonians or it will perish. Throughout history, every society—whether society is defined as a nation, a tribe, or a single family—has had to determine what to produce, how, and for whom. Tobago, in its historical journey had effectively and efficiently executed this societal gold standard to the extent that it was once labeled the “food-basket” of Trinidad because of the amount of agricultural produce that were exported to Trinidad. Unfortunately, the current situation is such that production and productivity in Tobago are at their lowest ebb. It is worth noting here that virtually every agricultural produce and other consumables that are consumed on the island are either produced in Trinidad or imported from elsewhere. For instance, shamefully, even celery, shadon beni and chive are being imported from Trinidad on a weekly basis to meet the seasoning and spice needs of Tobagonians. The lack of production and productivity in Tobago was never made so revealing and pronounced as during the recent sea-bridge crisis. The crisis gave witness to traders and business people experiencing great difficulties and uncertainties in moving their cargo from Port of Spain to Scarborough. The results were significant shortages of consumables, both fresh agricultural produce and manufactured goods, on the island with the attendant cry that there was no food in Tobago because there was no cargo boat and the barge was grossly inappropriate and inadequate. Another way of understanding or taking note of the lack of productivity and production in Tobago, generally, is by looking at the island’s Gross Domestic Product [GDP]. The GDP is a measure/count of the value all the goods and services produced in Tobago and Tobago-owned entities abroad. It is generally accepted that data infrastructure, necessary to produce good and timely GDP figures, is not in place notwithstanding the efforts that have been made and continue to be made. Similarly, there is no proper inter-island trade data collection mechanism in place to track items and their quantities that are traded between the Tobago island regional economy and the Trinidad economy and which could be used for planning and development purposes. In other words, while we may have casual knowledge of what is imported into Tobago from Trinidad, sadly there is no official data on the quantities and frequencies which make economic planning and development difficult to execute. The fact that only about $200 million in tax revenues are being collected directly in Tobago and the annual budget allocation from the national parliament is in excess of $ 2,000 million or $2 billion is another measure of the lack of organised and purposeful production and productivity towards meeting and building the future self-sustainability of Tobagonians. Yes, and while we accept and take note of the fact that it is one country (Trinidad and Tobago), and that the GDP and tax collection methods are not perfect, the undisputed fact is that from anecdotal evidence, Tobago is seemingly spending much more than it is producing/owning. What this means is that some bodies or entities are subsiding or sharing what they have produced with Tobago in order that the needs of Tobagonians would be met. * What should we produce? * How should we produce it? * For whom should we produce it? Reply to "Tobago: Produce or perish"